Globe ICONIC Entertainment Zone To Provide A One-Of-A-Kind Experience And Speedy WiFi Service! Home / globe / news / services / Globe ICONIC Entertainment Zone To Provide A One-Of-A-Kind Experience And Speedy WiFi Service! At ICONIC store, the premiere lifestyle destination of Globe, is providing a one-of-a-kind entertainment zone that provides a different venue experience. In case you missed it, the ICONIC store is revolutionizing the Philippine retail and entertainment industry was able to complete the first phase of its entertainment facility that was able to hold large scale events. It includes Green Day’s: American Idiot play, NBA Fit and HOOQ Hangouts. Apart from that, there are two massive Times Square-like LED walls that provides live video feed and on-ground entertainment. It'll showcase informative videos such as short clips by Globe Studios, light and sounds show, and etc. daily every 7:30 pm. The ICONIC store also transforms into a carnival wonderland from 5:00 pm to 10:00 pm. It highlights the Omega Claw game which uses the technology of augmented reality and face detection to capture the faces of anyone near the venue using a live feed camera. The images captured will be then posted in the largest interactive outdoor LED billboard with the tagline “You’ve been clawed.” Globe encourages People to pose for the camera as they are seen by spectators around. It's a fun, unique, and interactive technology that will be regularly refreshed to give the BGC Central Amphitheatre visitors something to look forward to. Anyone within the area can also connect to the Globe ICONIC WiFi service that provides ultra fast internet service up to 100 Mbps. 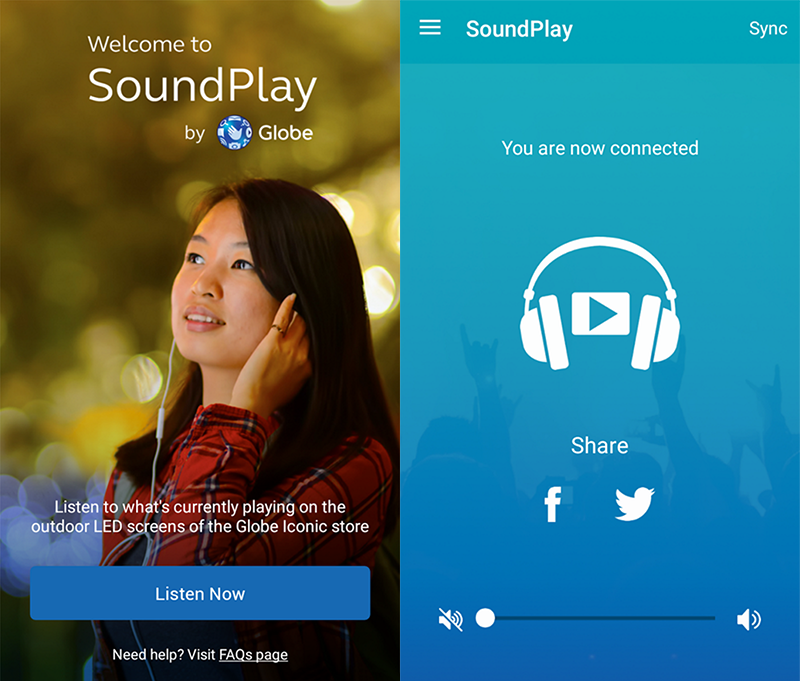 They can also connect to the audio and videos played on the outdoor LED screens using Globe Soundplay App, an audio streaming app to listen to the videos playing in the store using your smartphone. Lastly, the Phase 2 of ICONIC store will feature glass bridge that connects two stores on both ends and chroma studio for recording and shooting videos that partners and customers can use, view and enjoy. The ICONIC store is set to open by the end of the year. To experience Globe Soundplay App, Omega Claw game, and ICONIC WiFi, visit the Globe ICONIC store at BGC Central now. For more info check out Globe's press room as well.